Last week Japanese language school just started. My language school, KCP, has about 500 to 600 students and is located near the center of Tokyo in a place called Shinjuku. Every day I get up early and take about an hour train ride into the center of the city to go to school. The Chinese students that I have met are very friendly. I can tell that they have limited access to outside information in their country. (No Facebook, limited internet, gasp!) I sit next to a girl named ‘Jessica’ and a guy named ‘Chris’. They both understand English very well. Jessica speaks English very well and has offered to help me understand any of the Japanese in class since the whole class is in Japanese. Please pray for them as they are from the mainland of China and have likely not heard much of Christianity. I will attempt to befriend them to share the gospel. On a lighter note I met another Chinese guy in class that spoke some English. His first words to me were: “I love United States. I love Michael Jackson and Justin Timberlake.” Our culture definitely reaches people more than anything! The first two days of language school were intense. Please pray that I can understand as well as speak Japanese! Katie has had multiple opportunities for witnessing to people as well as doing some actual bible studies. Please pray for her as well as those she is meeting with! As many of you have seen on the news, a second typhoon has come through Tokyo bringing much rain and shutting down public transportation for awhile. Hopefully this will be the last Typhoon of the season as the first Typhoon killed 9 people from what I have heard! 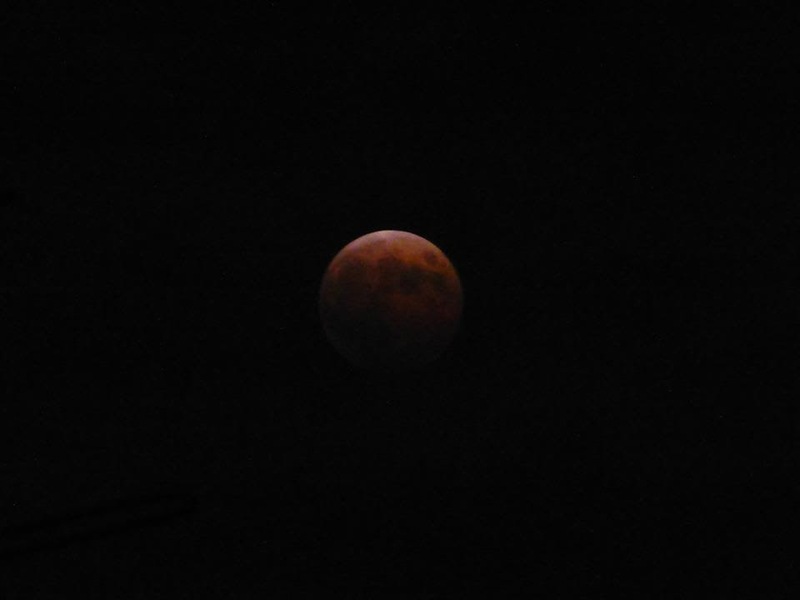 Also a lunar eclipse occurred with great clarity here in Tokyo! Thank you for your thoughts, support, and prayers as I continue to adjust here!